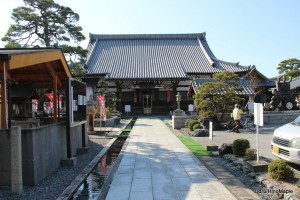 Soanji is a small temple located on Yume Kyobashi Castle Road. It is something that may be overlooked easily but it was an interesting temple. The main temple building has a grand roof that reminds me of Sensoji in Asakusa. It is definitely not as grand but the shape definitely reminds me of Sensoji. There isn’t a lot of information on Soanji so it is a little difficult to talk about it. A lot of Soanji is pretty standard. There is a nice gate to mark the entrance and a very small approach to the main temple. On one side there is a big bell tower. It is one of the nicer bell towers I had seen at a temple. I really enjoyed looking at the grounds and even though it was small, sometimes the smaller temples are more interesting. 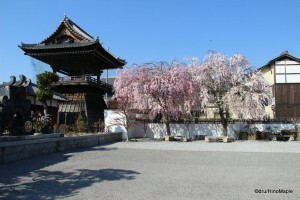 The best point for me was the cherry trees in the parking lot in front of the bell tower. It is very common to see the same type of cherry tree in the same area but in Soanji they had two different colours. I believe they may be of the same genus, and I’m sure some of you here will know based on the photo, but I’m not sure. I loved the contrast between the pink and the white cherry blossoms and this photo just can’t do it justice. 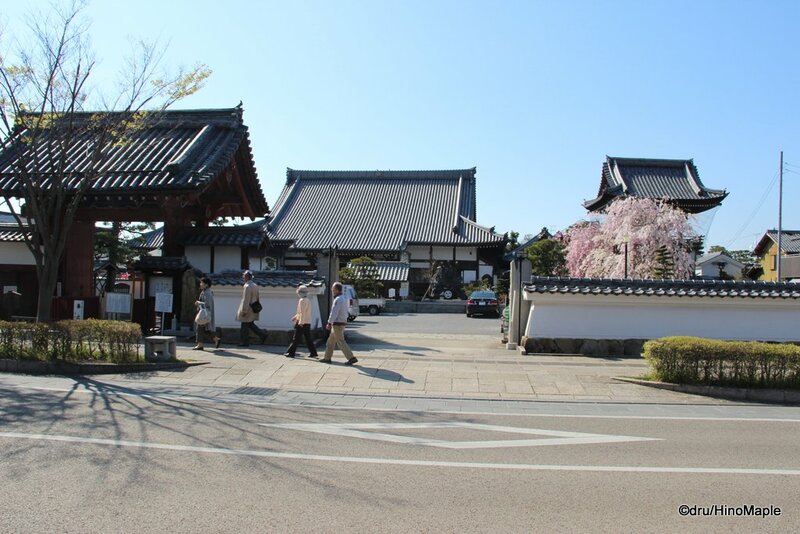 When you visit Hikone and if you are lucky to be there during the cherry blossom season, be sure to check out Soanji as the composition of cherry blossoms are more interesting that the cherry trees that are all the same. 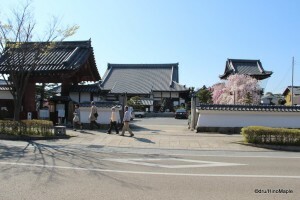 This entry was posted in Kansai and tagged Hikone, japan, Shiga, Soanji, Yume Kyobashi Castle Road, Yume Kyobashi Road by Dru. Bookmark the permalink. It does look like Senso-ji! ^^ I don’t know what the cherry blossom varieties are called. Can we go for Prunus × yedoensis pinkus and Prunus × yedoensis white-ius? I think Prunus x yedoensis Barbicus and Prunus x yedoensis Caspericus. Sounds better?